Corporal Burns has been with Gaston County Sheriffs Office since 2005 and is currently serving on the Field Services Division. He has served as a Gang Investigator, Child Support Enforcement and Domestic Violence Deputy. He has been riding motorcycles since 1984, starting with dirt bikes and moving up to street bikes. 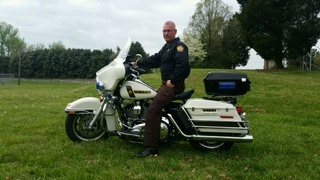 He attended the MSF course in 2013 at Gaston College and has served on the Motor Unit since that time. He attended Basic Police Motor School in Hendersonville, NC. in 2015 and became a Bike Safe Assessor in 2016.